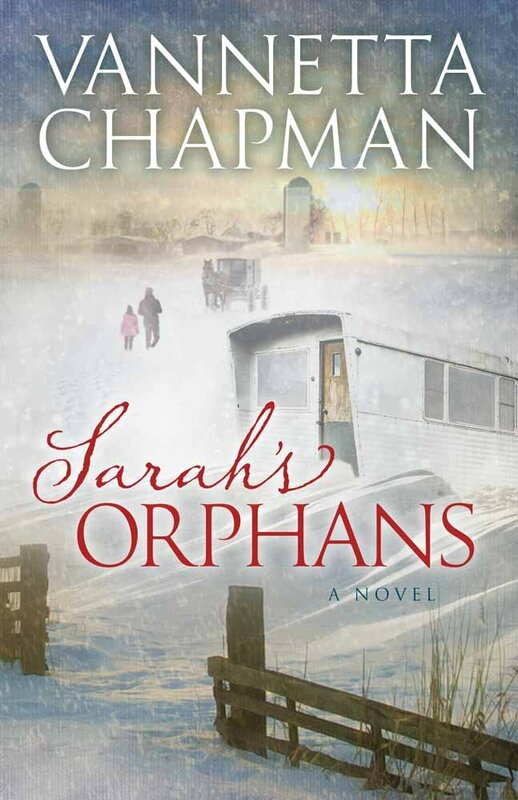 Sarah’s Orphan’s by Vannetta Chapman is a contemporary Amish romance. It is the third book in the Plain And Simple Miracles series but can be read as a stand-alone. I absolutely loved Sarah’s Orphan’s. Very few books manage to bring a tear to my eye but this one did! I fell in love with all the characters but especially young Mateo and Mia. Both were delightfully drawn and bought out the maternal side in me. The novel deals with the whole theme of taking care of the widows and orphans. It has a secondary theme of belonging. My heart broke as I read “When had anyone ever wanted them?” It just takes one person to make all the difference in another’s life. Tied in to this is the theme of family. The Amish have close knit families and a close knit community. Everyone works together. “It takes many people to raise a family. It takes the community.” This is said by Mammi, the matriarch of the household who with her years has not only oodles of love but is very wise. The Amish pull together in all circumstances. If they spot a need, then it is met. They live by the motto “Very few burdens are heavy if everyone lifts.” The sense of community and love just oozed from the pages of Sarah’s Orphans. There is the theme of trust. Not only of people but of God. “Pray. Trust Gott. Read the Bible.” When life deals us a rough hand, sometimes our relationship with God suffers. “Somewhere along the way, she’d decided God was untrustworthy.” Our experience of our fellow humans can cloud our view of God. God can be trusted. God will not let us down. The novel deals with some very hard hitting topics – bipolar, depression, abandonment, anorexia. Sometimes life seems out of control and one gets dragged along. Here is where anorexia may creep in “I could control what I did or didn’t eat.” Vannetta Chapman sensitively presents this showing that there is no quick fix. All the subjects mentioned can be hard to live with. The whole family is affected, not just the sufferer. Much love, care and empathy is needed. Throughout the novel there is much love. Love permeates the whole story. This love is tangible to the reader. The reader ‘feels’ what the characters go through and ‘feels’ the great love radiating from the pages. Prayer is of utmost importance. When there are big decisions to be made, the characters turn to God. “If Gotte has chosen that path for you, He will make it possible.” Everything that is done needs the blessing of God. I absolutely loved Sarah’s Orphans. I was completely hooked from the start and totally besotted with the characters. My emotions soared and dipped with the action. It was not like reading a book but more like walking through life with the characters. The book has ended but my heart really desires to know what happened next. A totally wonderful book. 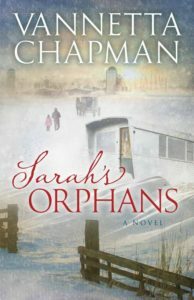 I can highly recommend purchasing Sarah’s Orphans and losing yourself in the pages of the novel.